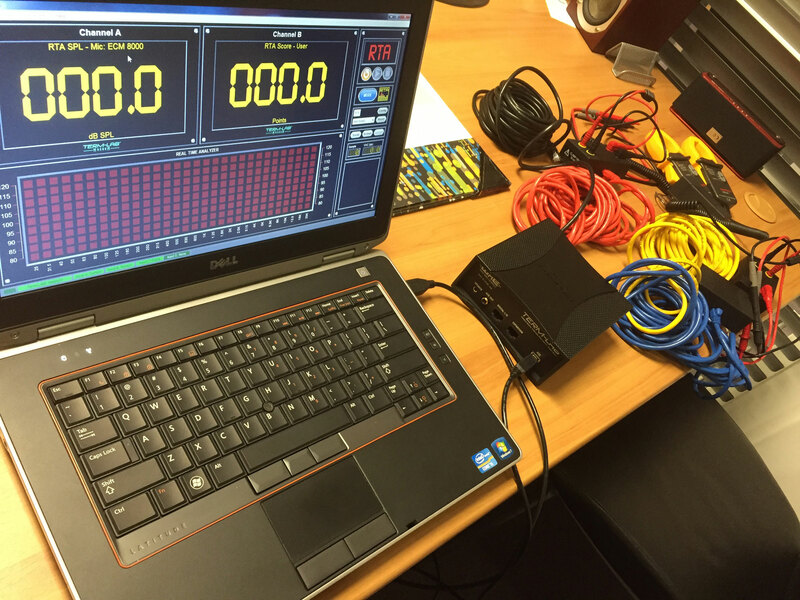 We purchased the new Magnum Term-LAB plus the Magnum Clamp Testing Kit late last year, we have now just had time to install the software on our new laptop. I am really excited about the Term-LAB Magnum. With more than 16 times the resolution of the original Term-LAB, the addition of Bluetooth, an integrated Broadband RTA, and modular digital architecture, the new Magnum is going to revolutionize sound measurement …. AGAIN! 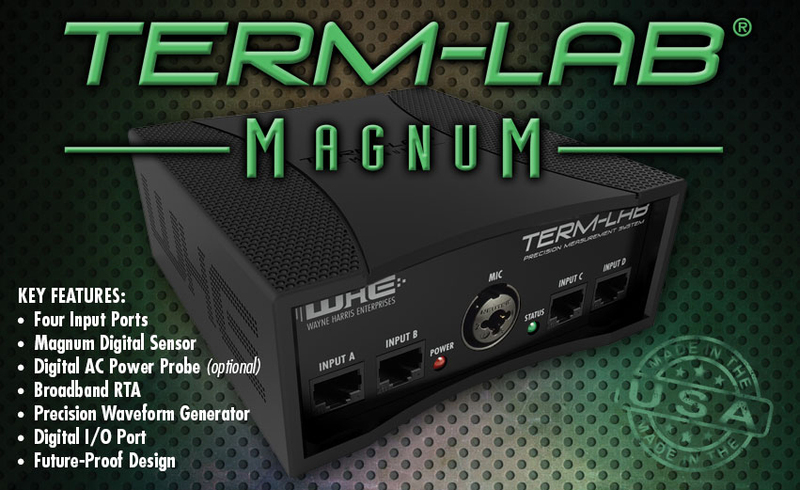 WHE, Inc. is proud to introduce the new Term-LAB Magnum sound measurement system. 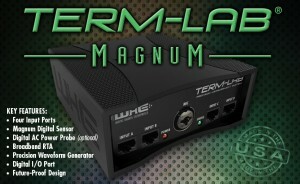 For more than a decade, Term-LAB has set the standard for precise and consistent SPL measurements. Our award-winning sensor technology has revolutionized high sound pressure level measurements. 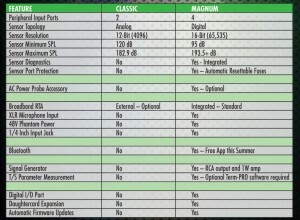 The new Term-LAB Magnum expands on this time-tested technology while integrating new features that will greatly enhance the performance, resolution, and capabilities our customers have grown to expect. Four Input Ports – The Term-LAB Magnum includes four peripheral input ports on the front panel. These ports may be used to connect sensors, AC Power Probes, and future accessories to the system. Magnum Digital Sensor – The new Magnum sensor incorporates new digital conversion technology which improves both the dynamic range and measurement resolution for SPL measurements. 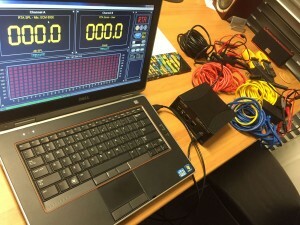 The measurement data is transferred from the sensor to the Term-LAB Magnum interface as a digital signal. This eliminates errors which could be introduced by the sensor cable and/or ambient electrical noise. The new Magnum sensor has 16 times the resolution of the original Term-LAB sensor and can measure Sound Pressure Levels in excess of 193 dB. 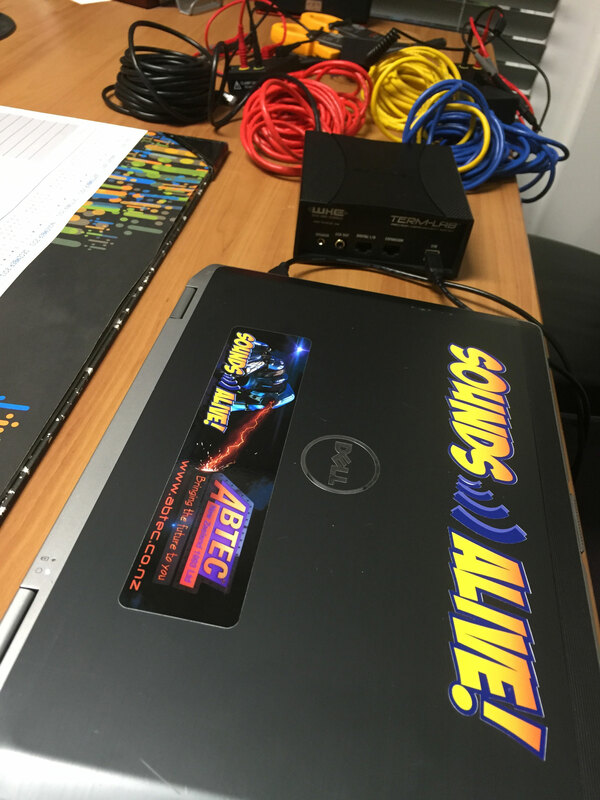 Magnum Digital AC Power Measurement – (optional) More and more sound-off organizations are adopting amplifier power as a means of classifying competitors for competition purposes. 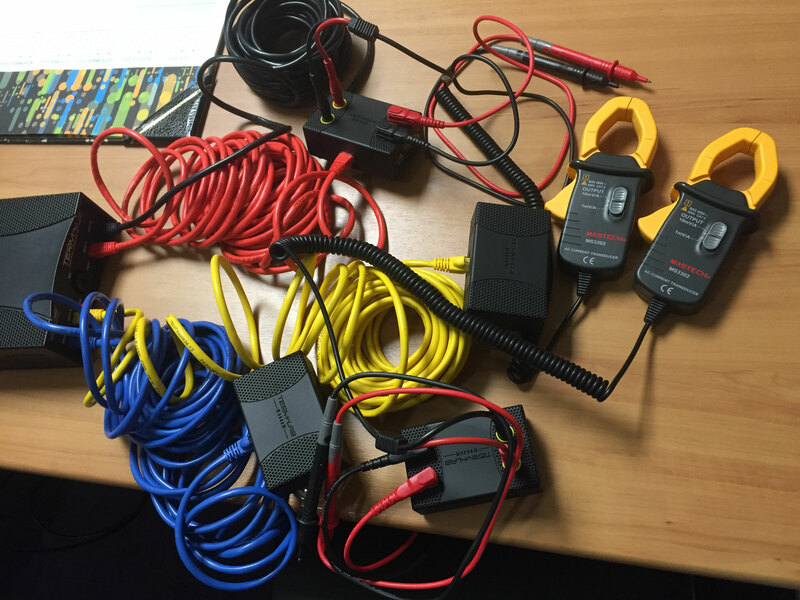 Term-LAB’s new AC Power Adapter peripheral integrates AC power measurements directly into the measurement process. The probe includes two inputs; one for the AC current clamp and the other for the probes that connect to the amplifiers speaker output terminals. 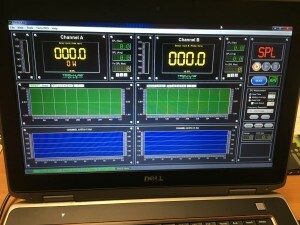 Real-time power measurements are displayed on the screen directly underneath the contestant’s SPL. Organizations can determine how to use this measurement. For example, a contestant that exceeds the maximum allowable power during a run could trigger a “red-light” condition and lose the run. Or, the contestant’s score could be penalized based on the magnitude of the violation. Automatic classification is also an option. Broadband RTA – The Term-LAB Magnum now incorporates an XLR microphone input which may be used for full-bandwidth spectrum analysis. An integrated 48-Volt Phantom power supply provides the necessary voltages required by most XLR microphones. 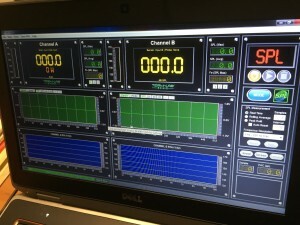 In addition, the Broadband RTA features in the software are now included as a standard feature. Users only need provide their own microphone in order to utilize these features. 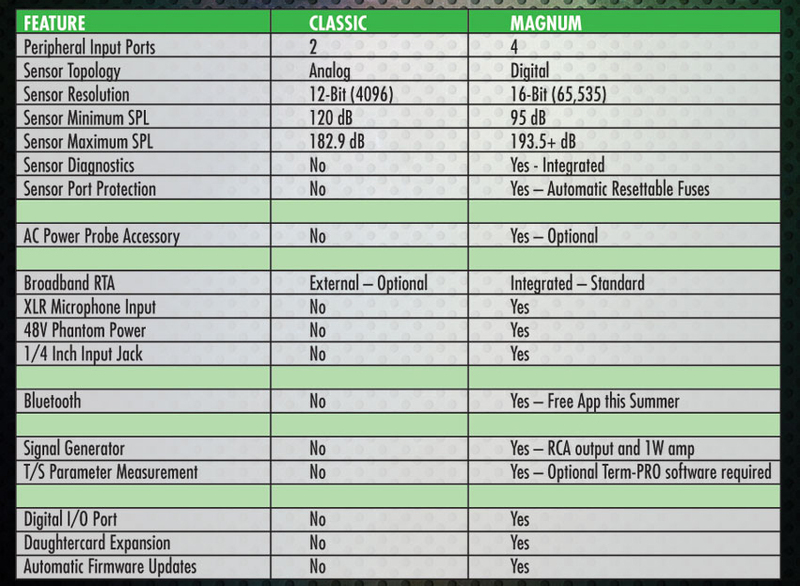 Bluetooth – The Term-LAB Magnum includes Bluetooth as a standard feature. This will allow you to make SPL measurements with your smart phone or tablet (instead of a computer if you so desire.) The free APP for this feature will be introduced for the Android platform in the first quarter of 2015. 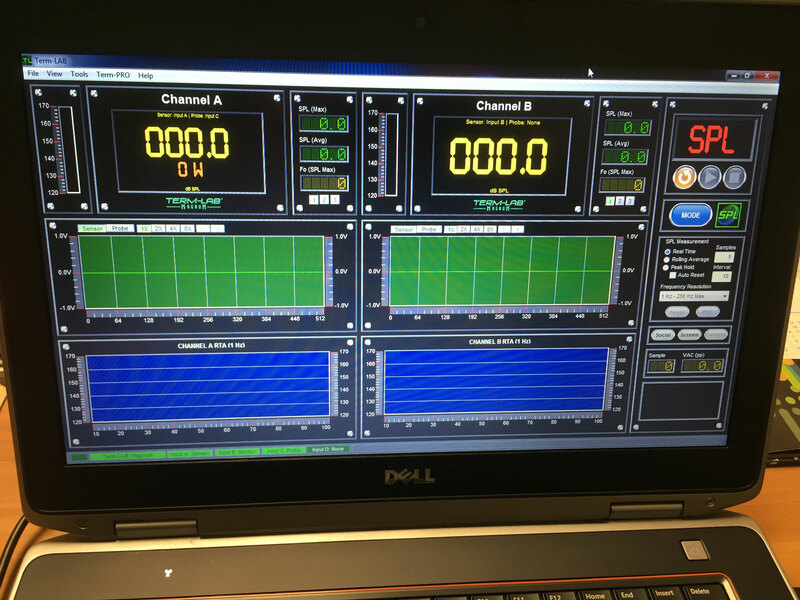 Precision Waveform Generator – The Term-LAB Magnum incorporates a precision signal generator which may be used to generate test tones, sweeps, etc. An integrated 1 Watt amplifier with a digitally controlled series resistance allows for impedance measurements. 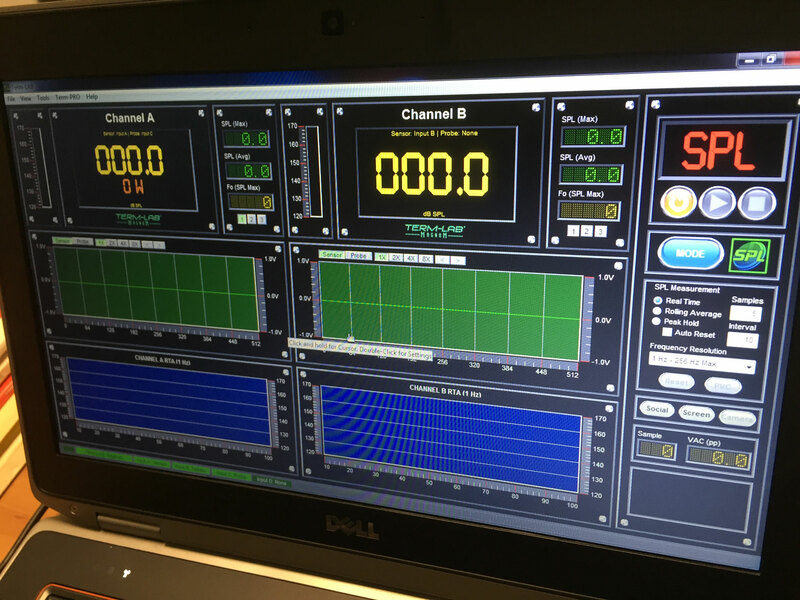 In an upcoming version of the Term-LAB software, features will be added which will allow customers with the Term-PRO Enclosure Design software upgrade to make Thiele/Small parameter measurements. Digital I/O Port – A Digital I/O port on the rear of the Term-LAB interface allows various interface capabilities. One of the first features to be implemented will be the ability to directly drive LED Light Strips in a “Light Tree” bar-graph configuration. Future-Proof Design – The Term-LAB Magnum already incorporates just about everything imaginable. But, just in case, the unit has the capability to accept an internal “daughter-card” PCB for anything we may dream up in the future. I must say after using the old Term-LAB over the years this is a massive improvement and can’t wait to try out all the new features. Now we also got the Enclosure Design Software and again first impressions absolutely love it, if your thinking about one of these don’t!! Just do it! Get one today you won’t regret it. 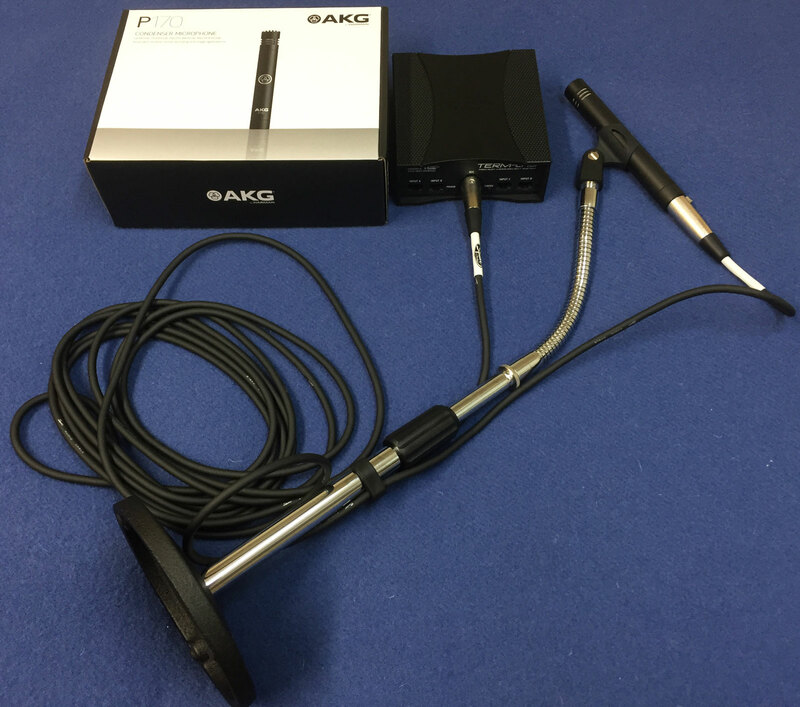 This is a AKG P170 Microphone recommended by us but other Microphones can be used. For more information about the RTA and microphone options contact us.